Easily the number one most smoked Al Waha flavor around the office, Mango Lemonade is truly a winner from Al Waha shisha tobacco. Combining the flavor of ripe mango with the sweetness of a fresh glass of lemonade, Mango Lemonade will be sure to give you a refreshing hookah tobacco session. 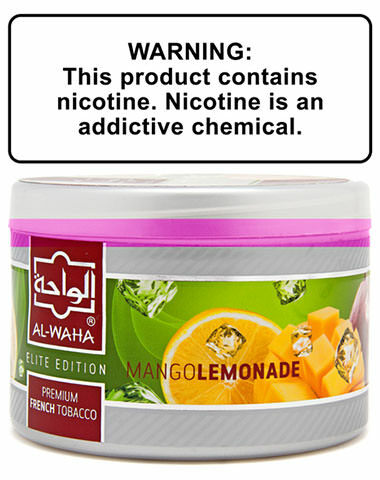 Mango Lemonade Al Waha Shisha Tobacco has a average rating of 0 stars out of 5 stars based on 0 reviews.